摘要 目的探讨F10基因功能与部分细胞周期蛋白表达的关系。方法选择已建立并筛选的F10基因沉默、稳定过表达绒癌细胞系JAR,以未处理JAR细胞为对照组,采用流式细胞仪检测细胞周期,Western blotting及免疫荧光细胞化学技术检测细胞周期蛋白（cyclin）和细胞周期蛋白依赖激酶（CDKs）的表达水平差异。结果流式细胞仪检测细胞周期显示,F10过表达组的JAR细胞细胞周期较沉默组及未处理组缩短。Western blotting检测结果显示,在F10沉默组、未处理组及F10过表达组的JAR细胞中cyclinA2、cyclinB1、cyclinD1、cyclinE、CDK2、CDK6、CDK7表达递增,过表达组及沉默组的蛋白表达水平与未处理组相比较差异有统计学意义（P〈0.05）,CDK4除外。免疫荧光细胞技术实验结果与Western-Blot检测结果基本一致。结论 F10基因通过上调细胞周期蛋白cyclinA2、cyclinB1、cyclinD1、cyclinE、CDK2、CDK6、CDK7的表达,加快细胞周期进程,促进细胞增殖,从而参与调节绒癌细胞的侵袭与转移。 Objective To explore the role of F10 gene in regulating cell cycles of choriocarcinoma cells and the underlying mechanisms. Methods Using untreated cells as the control, JAR cells with F10 gene silencing or stable F10 over- expression were examined for cell cycle changes by flow cytometry（FCM） and for expressions of cyclinand cyclin- dependent kinase（CDKs） with Western blotting and immunofluorescence technique. Results JAR cells over- expressing F10 gene showed reduced duration of cell cycle compared with untreated and with cells after F10 gene silencing. In F10- over- expressing cells,Western blotting revealed significantly up-regulated expressions of cyclinA2, B1, D1, E and CDK2, 6, and 7, but not CDK4, as compared with the control cells and cells with F10 gene silencing（P〈0.05）, and these results were consistent with those by immunofluorescence assay. Conclusion F10 gene may accelerate cell cycle progression and promote cell proliferation by upregulating the expressions of cyclinA2, B1, D1, E and CDK 2, 4, 6, 7 in choriocarcinoma cells. 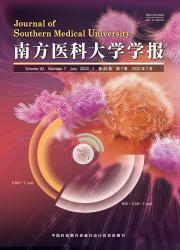 7Archana Balakrishnan,Arpita Vyas,Kaivalya Deshpande,Dinesh Vyas,.Pharmacological cyclin dependent kinase inhibitors： Implications for colorectal cancer[J].世界胃肠病学杂志：英文版,2016,0(7):2159-2164.